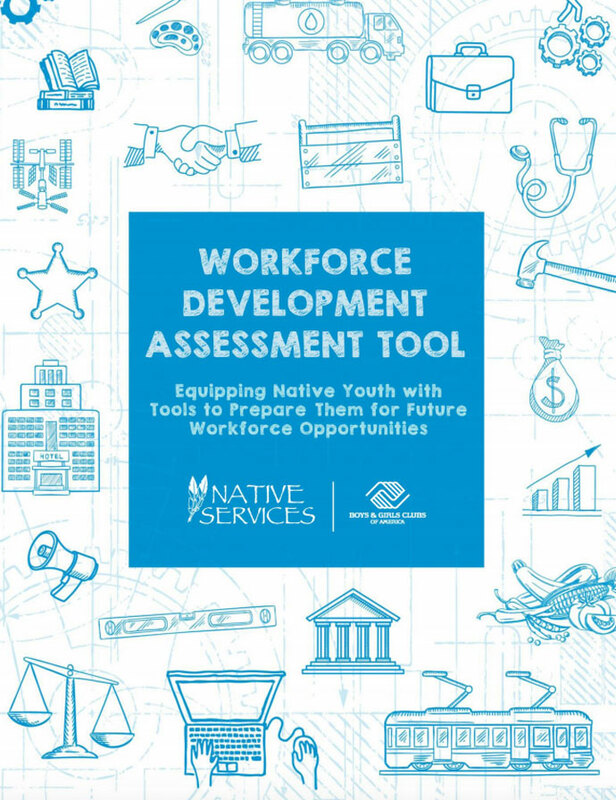 Workforce Development prepares and equips Native teens to successfully enter the workforce while engaging local employers as they are preparing for the next generation of workers. Boys & Girls Clubs of America (BGCA) recognized a need in programming for teens as they prepare for the workforce. The “Workforce Development Initiative” capitalizes on existing job skills and career development programs to create and implement a robust local workforce development program. The Workforce Development Initiative also provides Club professionals with resources and support necessary to facilitate programming. Furthermore, BGCA has provided an assessment tool to help organizations assess their capacity to implement a workforce development program. BGCA has recognized that Native Boys & Girls Clubs would benefit from having a culturally aware tool for professionals to use when assessing their ability to integrate this program into their Club. The assessment tool provides step by step procedures that will prepare Club staff to facilitate the programming. Each section acknowledges unique workforce opportunities for Native youth such as becoming Tribal department employees.